Hey all you Windows users! Your wait for Luminar is over. Today Macphun released a public beta of Luminar for Windows. And it's FREE. If you aren't familiar with Luminar, or want to see what it can do, check out my Luminar Learning Center for a free video tutorial series. Adaptive user interface – Exactly matching the Mac version, the software adapts to the skill level and preferences of the photographer. One-click presets – Over 50 pre-defined styles for every photography style. Photo Editing Filters – Over 40 custom filters, each with built-in visual tips and a unique set of easy-to-use controls for correcting, enhancing and stylizing images. RAW file conversion – Support for the latest RAW file libraries. Non-destructive workflow – Edit without fear. Recommended System Requirements – Windows 10, Core i5 2.2 or better, 8GB RAM, 1GB GPU RAM, SSD with 20+GB free space. 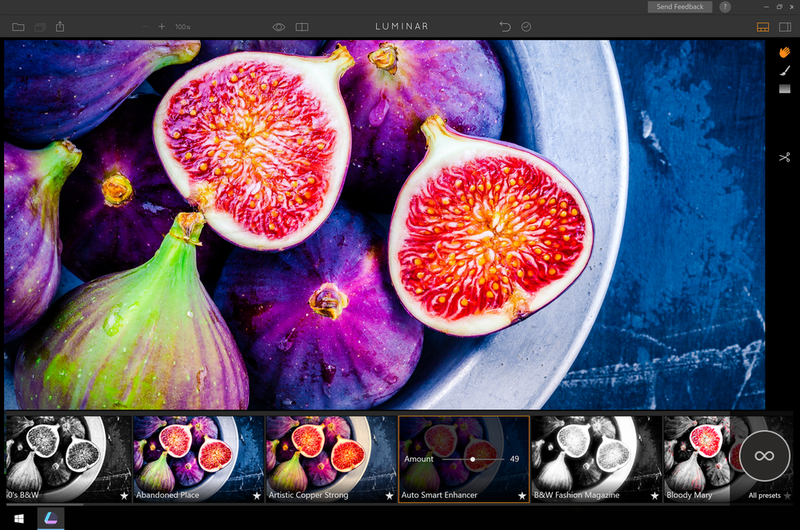 "The public beta is free of charge and already matches some of the most important features of Luminar, such as the newest and most advanced tool developed by Macphun’s Research and Development Lab – the Accent AI Filter, powered by artificial intelligence technology . The filter allows anyone to create stunning images with a single slider, substituting for dozens of traditional controls like shadows, highlights, contrast, tone, saturation, exposure, details and many others. 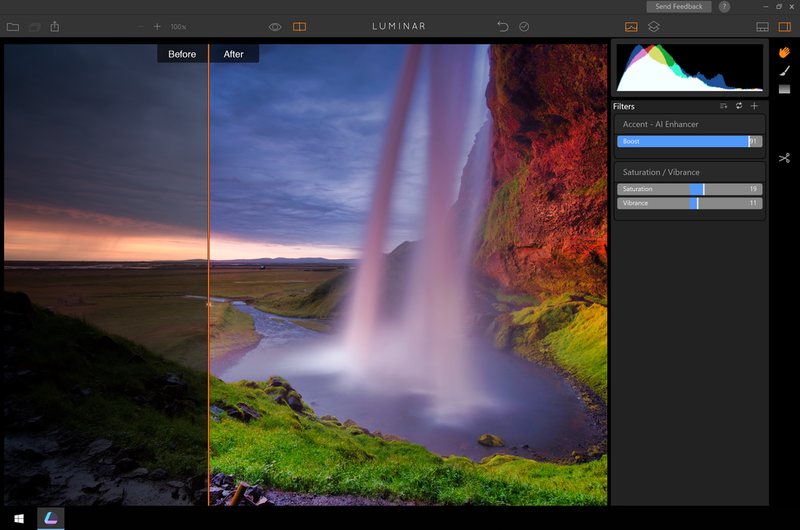 Admittedly, several features from the Mac version of Luminar remain in development for the Windows platform, among them workspaces, plug-in integration, object removal, noise reduction, and more. As these are completed, the public beta will be updated regularly leading to a full cross-platform release late in 2017." Ok. Got it? So it's not on par (yet!) with the Mac version, although updates are planned. My take is the beta is well-suited for you to try out Luminar. Test the waters. Kick the tires. See how you like it. And give feedback to Macphun - you can help shape the final product. Do you see that "Send Feedback" button in the screenshot? Use it! So what about Luminar itself? I've been using it for months in my photography (read my Luminar review here). Luminar was just updated less than a month ago and includes the new Accent AI filter. That's in the beta and it is pretty darn cool. Envelope-pushing stuff. Beyond one-click presets and one-filter treatments for photos, Luminar has 40+ filters to style your photos, layering support, masking - all the features you would expect in a photo editor. It works both standalone and as a plugin to Lightroom/Photoshop. The Accent AI filter uses a single slider to adjust shadows, contrast, highlights, exposure, details and more. And when you try it out, let me know what you think! Leave comments below or contact me.